In 2017, anti-piracy enforcement went global when companies including Disney, HBO, Netflix, Amazon and NBCUniversal formed the Alliance for Creativity and Entertainment (ACE). Soon after the Coalition Against Piracy (CAP) was announced. With a focus on Asia and backed by CASBAA, CAP counts many of the same companies among its members in addition to local TV providers such as StarHub. From the outset, CAP has shown a keen interest in tackling unlicensed streaming, particularly that taking place via illicit set-top boxes stuffed with copyright-infringing apps and add-ons. One country under CAP’s spotlight is Singapore, where relevant law is said to be fuzzy at best, insufficient at worst. Now, however, a line in the sand might not be far away. 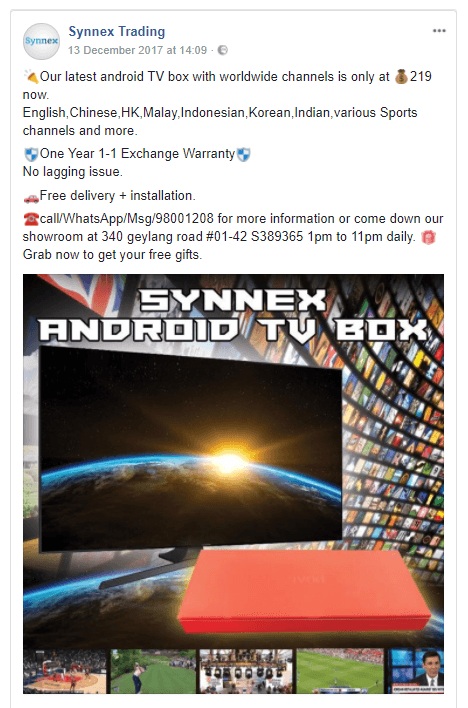 According to a court listing discovered by Singapore’s TodayOnline, today will see the Coalition Against Piracy’s general manager Neil Kevin Gane attempt to launch a pioneering private prosecution against set-top box distributor Synnex Trading and its client and wholesale goods retailer, An-Nahl. Gane and CAP are said to be acting on behalf of four parties, one which is TV giant StarHub, a company with a huge interest in bringing media piracy under control in the region. It’s reported that they have also named Synnex Trading director Jia Xiaofen and An-Nahl director Abdul Nagib as defendants in their private criminal case after the parties failed to reach a settlement in an earlier process. Contacted by TodayOnline, an employee of An-Nahl said the company no longer sells the boxes. However, Synnex is reportedly still selling them for S$219 each ($164) plus additional fees for maintenance and access to VOD. The company’s Facebook page is still active with the relevant offer presented prominently. The importance of the case cannot be understated. While StarHub and other broadcasters have successfully prosecuted cases where people unlawfully decrypted broadcast signals, the provision of unlicensed streams isn’t specifically tackled by Singapore’s legislation. It’s now a major source of piracy in the region, as it is elsewhere around the globe. Only time will tell how the process will play out but it’s clear that CAP and its members are prepared to invest significant sums into a prosecution for a favorable outcome. CAP believes that the supply of the boxes falls under Section 136 (3A) of the Copyright Act but only time will tell. Last December, CAP separately called on the Singapore government to not only block ‘pirate’ streaming software but also unlicensed streams from entering the country. CAP’s 21 members want the authorities to block the software inside devices that enables piracy but it’s far from clear how that can be achieved. Earlier this year, major industry players including Disney, HBO, Netflix, Amazon and NBCUniversal formed the Alliance for Creativity and Entertainment (ACE), a huge coalition set to tackle piracy on a global scale. Shortly after the Coalition Against Piracy (CAP) was announced. 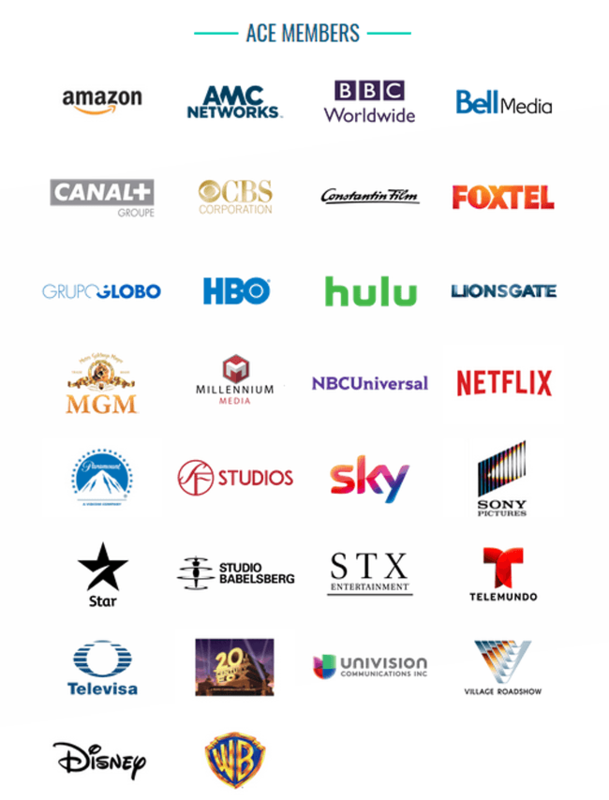 With a focus on Asia and backed by CASBAA, CAP counts Disney, Fox, HBO Asia, NBCUniversal, Premier League, Turner Asia-Pacific, A&E Networks, BBC Worldwide, National Basketball Association, Viacom International, and others among its members. In several recent reports, CAP has homed in on the piracy situation in Singapore. Describing the phenomenon as “rampant”, the group says that around 40% of locals engage in the practice, many of them through unlicensed streaming. 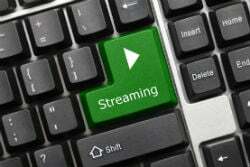 Now CAP, in line with its anti-streaming stance, wants the government to do more – much more. Since a large proportion of illicit streaming takes place through set-top devices, CAP’s 21 members want the authorities to block the software inside them that enables piracy, Straits Times reports. 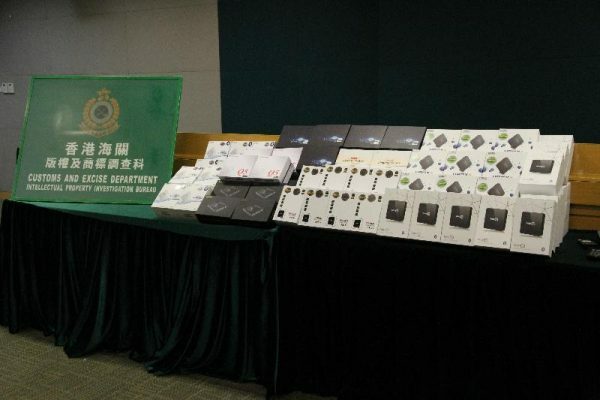 “Within the Asia-Pacific region, Singapore is the worst in terms of availability of illicit streaming devices,” said CAP General Manager Neil Gane. There are no precise details on CAP’s demands but it is far from clear how any government could effectively block software. Blocking access to the software package itself would prove all but impossible, so that would leave blocking the infrastructure the software uses. While that would be relatively straightforward technically, the job would be large and fast-moving, particularly when dozens of apps and addons would need to be targeted. However, CAP is also calling on the authorities to block pirate streams from entering Singapore. The country already has legislation in place that can be used for site-blocking, so that is not out of the question. It’s notable that the English Premier League is part of the CAP coalition and following legal action taken in the UK earlier this year, now has plenty of experience in blocking streams, particularly of live broadcasts. While that is a game of cat-and-mouse, TorrentFreak sources that have been monitoring the Premier League’s actions over the past several months report that the soccer outfit has become more effective over time. Its blocks can still be evaded but it can be hard work for those involved. That kind of expertise could prove invaluable to CAP. In common with other countries around the world, the legality of using ‘pirate’ streaming boxes is somewhat unclear in Singapore. A Bloomberg report cites a local salesman who reports sales of 10 to 20 boxes on a typical weekend, rising to 300 a day during electronic fairs. He believes the devices are legal, since they don’t download full copies of programs. While that point is yet to be argued in court (previously an Intellectual Property Office of Singapore spokesperson said that copyright owners could potentially go after viewers), it seems unlikely that those selling the devices will be allowed to continue completely unhindered. The big question is how current legislation can be successfully applied. Instead of companies like the MPAA, Amazon, Netflix, CBS, HBO, BBC, Sky, CBS, Foxtel, and Village Roadshow tackling piracy completely solo, this year they teamed up to form the Alliance for Creativity and Entertainment (ACE). This massive collaboration of 30 companies represents a new front in the fight against piracy, with global players publicly cooperating to tackle the phenomenon in all its forms. The same is true of CASBAA‘s Coalition Against Piracy (CAP), a separate anti-piracy collective which to some extent shares the same members as ACE but with a sharp of focus on Asia. This morning the groups announced the results of a joint investigation in Australia which targeted a large supplier of illicit IPTV devices. These small set-top boxes, which come in several forms, are often configured to receive programming from unauthorized sources. In this particular case, they came pre-loaded to play pirated movies, television shows, sports programming, plus other content. The Melbourne-based company targeted by ACE and CAP allegedly sold these devices in Asia for many years. The company demanded AUS$400 (US$305) per IPTV unit and bundled each with a year’s subscription to pirated TV channels and on-demand movies from the US, EU, India and South East Asia markets. In the past, companies operating in these areas have often been met with overwhelming force including criminal action, but ACE and CAP appear to have reached an agreement with the company and its owner, even going as far as keeping their names out of the press. In return, the company has agreed to measures which will prevent people who have already invested in these boxes being able to access ACE and CAP content going forward. That is likely to result in a whole bunch of irritated customers. “The film and television industry has made significant investments to provide audiences with access to creative content how, where, and when they want it,” says ACE spokesperson Zoe Thorogood. Neil Gane, General Manager of the CASBAA Coalition Against Piracy (CAP), also weighed in with what are now becoming industry-standard warnings of losses to content makers and supposed risks to consumers. “These little black boxes are now beginning to dominate the piracy ecosystem, causing significant damage to all sectors of the content industry, from producers to telecommunication platforms,” Gane said. In September, TF revealed the secret agreement behind the ACE initiative, noting how the group’s founding members are required to commit $5m each annually to the project. The remaining 21 companies on the coalition’s Executive Committee put in $200,000 each. While today’s IPTV announcement was very public, ACE has already been flexing its muscles behind the scenes. 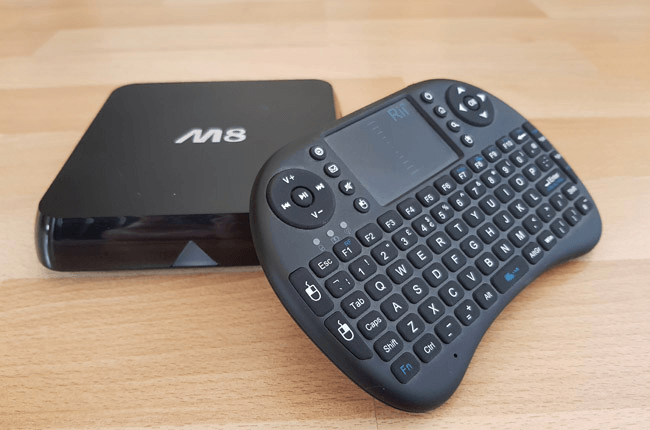 Earlier this month we reported on several cases where UK-based Kodi addon developers were approached by the anti-piracy group and warned to shut down – or else. While all complied, each was warned not to reveal the terms of their agreement with ACE. This means that the legal basis for its threats remains shrouded in mystery. That being said, it’s likely that several European Court of Justice decisions earlier in the year played a key role. The commotion over the set-top box streaming phenomenon is showing no signs of dying down and if day one at the Cable and Satellite Broadcasting Association of Asia (CASBAA) Conference 2017 was anything to go by, things are only heating up. Held at Studio City in Macau, the conference has a strong anti-piracy element and was opened by Joe Welch, CASBAA Board Chairman and SVP Public Affairs Asia, 21st Century Fox. He began Tuesday by noting the important recent launch of a brand new anti-piracy initiative. “CASBAA recently launched the Coalition Against Piracy, funded by 18 of the region’s content players and distribution partners,” he said. TF reported on the formation of the coalition mid-October. It includes heavyweights such as Disney, Fox, HBO, NBCUniversal and BBC Worldwide, and will have a strong focus on the illicit set-top box market. Illegal streaming devices (or ISDs, as the industry calls them), were directly addressed in a segment yesterday afternoon titled Face To Face. Led by Dr. Ros Lynch, Director of Copyright & IP Enforcement at the UK Intellectual Property Office, the session detailed the “onslaught of online piracy” and the rise of ISDs that is apparently “shaking the market”. Given the apparent gravity of those statements, the following will probably come as a surprise. According to Lynch, the UK IPO sought the opinion of UK-based rightsholders about the pirate box phenomenon a while back after being informed of their popularity in the East. The response was that pirate boxes weren’t an issue. It didn’t take long, however, for things to blow up. “The UKIPO provides intelligence and evidence to industry and the Police Intellectual Property Crime Unit (PIPCU) in London who then take enforcement actions,” Lynch explained. The evidence of that in the UK isn’t difficult to find. In addition to millions of devices with both free Kodi addon and subscription-based systems deployed, the app market has bloomed too, offering free or near to free content to all. This caught the eye of the Premier League who this year obtained two pioneering injunctions (1,2) to tackle live streams of football games. Streams are blocked by local ISPs in real-time, making illicit online viewing a more painful experience than it ever has been. No doubt progress has been made on this front, with thousands of streams blocked, but according to broadcaster Sky, the results are unprecedented. “Site-blocking has moved the goalposts significantly,” said Matthew Hibbert, head of litigation at Sky UK. “In the UK you cannot watch pirated live Premier League content anymore,” he said. While progress has been good, the statement is overly enthusiastic. TF sources have been monitoring the availability of pirate streams on around dozen illicit sites and services every Saturday (when it is actually illegal to broadcast matches in the UK) and service has been steady on around half of them and intermittent at worst on the rest. There are hundreds of other platforms available so while many are definitely affected by Premier League blocking, it’s safe to assume that live football piracy hasn’t been wiped out. Nevertheless, it would be wrong to suggest that no progress has been made, in this and other related areas. Kevin Plumb, Director of Legal Services at The Premier League, said that pubs showing football from illegal streams had also massively dwindled in numbers. “In the past 18 months the illegal broadcasting of live Premier League matches in pubs in the UK has been decimated,” he said. This result is almost certainly down to prosecutions taken in tandem with the Federation Against Copyright Theft (FACT), that have seen several landlords landed with large fines. Indeed, both sides of the market have been tackled, with both licensed premises and IPTV device sellers being targeted. Most if not all of FACT-led prosecutions target device and subscription sellers under fraud legislation but that could change in the future, Lynch of the Intellectual Property Office said. “While the UK works to update its legislation, we can’t wait for the new legislation to take enforcement actions and we rely heavily on ‘conspiracy to defraud’ charges, and have successfully prosecuted a number of ISD retailers,” she said. Finally, information provided yesterday by network company CISCO shine light on what it costs to run a subscription-based pirate IPTV operation. 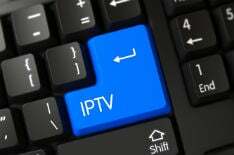 Director of Intelligence & Security Operations Avigail Gutman said a pirate IPTV server offering 1,000 channels to around 1,000 subscribers can cost as little as 2,000 euros per month to run but can generate 12,000 euros in revenue during the same period. “In April of 2017, ten major paid TV and content providers had relinquished 3.09 million euros per month to 285 ISD-based streaming pirate syndicates,” she said. There’s little doubt that IPTV piracy, both paid and free, is here to stay. The big question is how it will be tackled short and long-term and whether any changes in legislation will have any unintended knock-on effects.